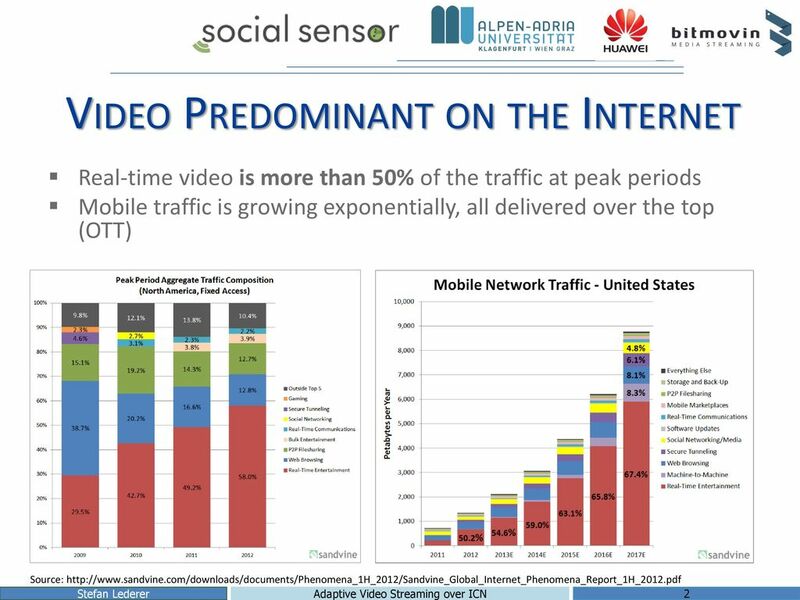 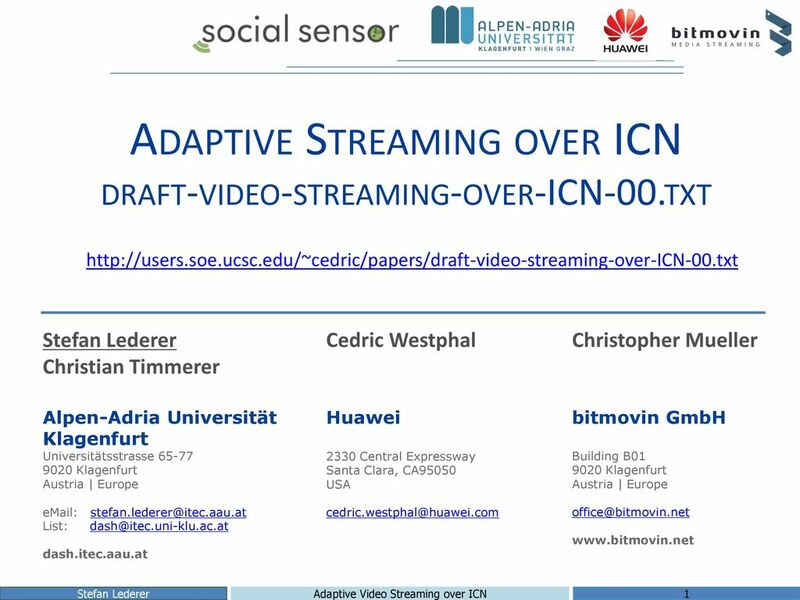 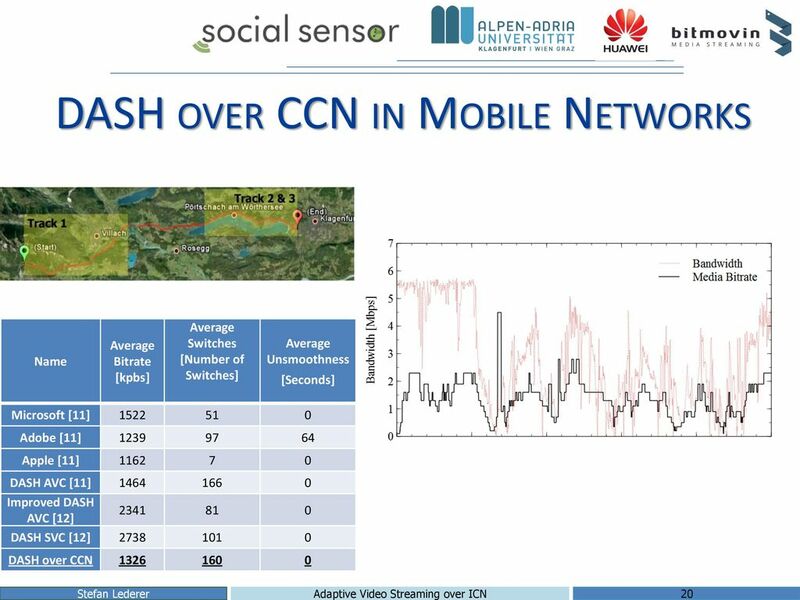 Download ppt "Adaptive Streaming over ICN draft-video-streaming-over-ICN-00.txt"
Building Cloud-ready Video Transcoding System for Content Delivery Networks(CDNs) Zhenyun Zhuang and Chun Guo Speaker: 饒展榕. 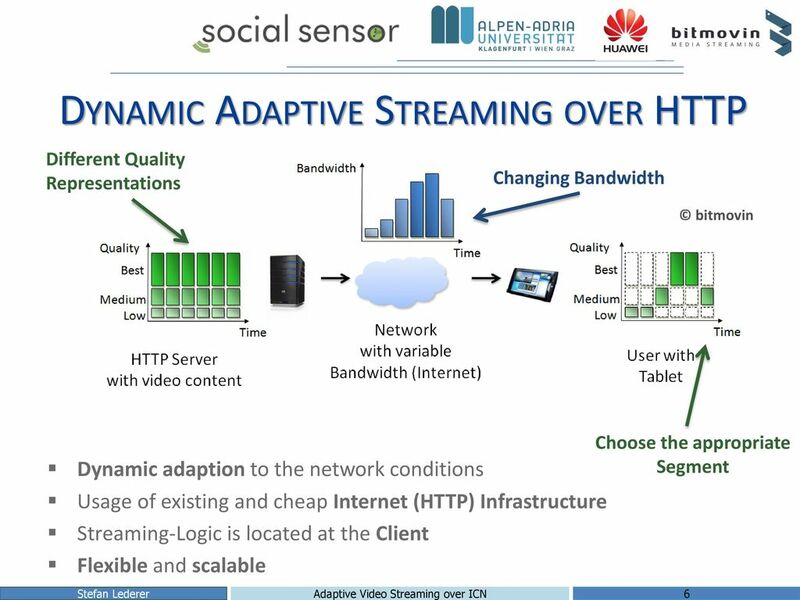 Dynamic Adaptive Streaming over HTTP – Design Principles and Standards Thomas Stockhammer, Qualcomm DASHDASH. 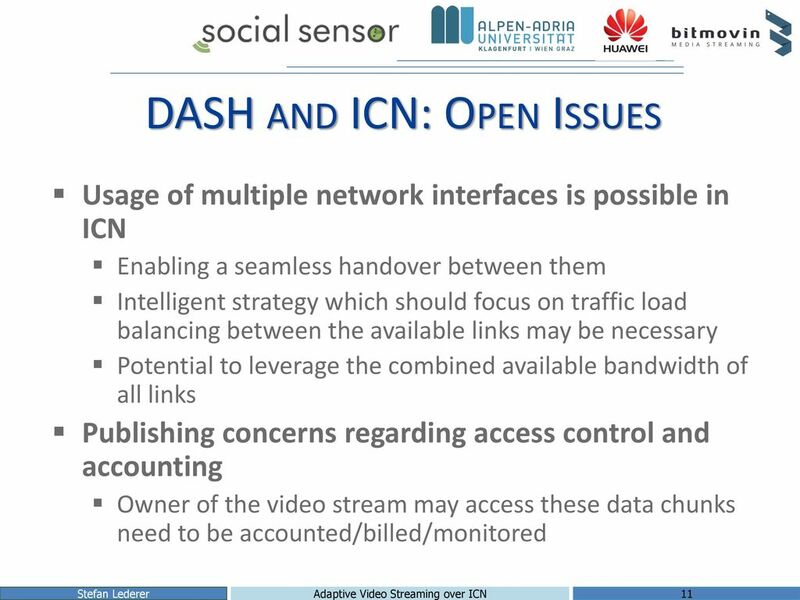 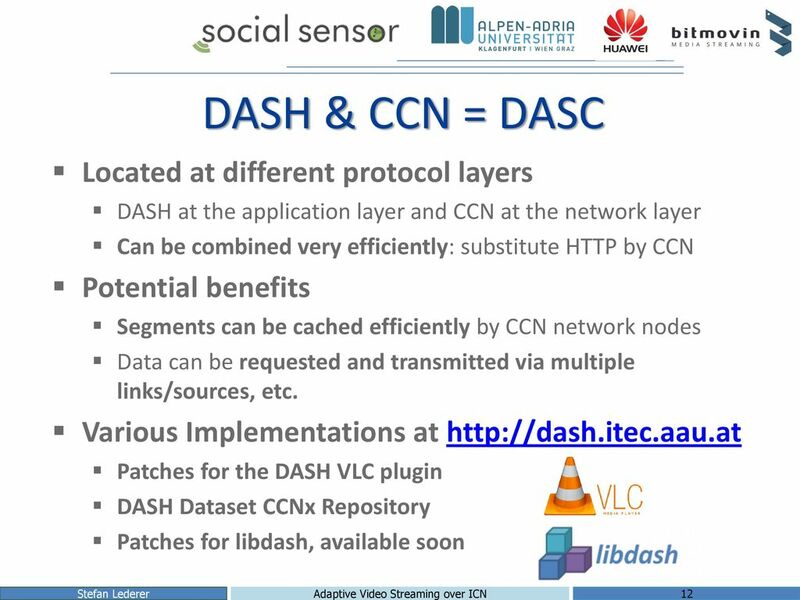 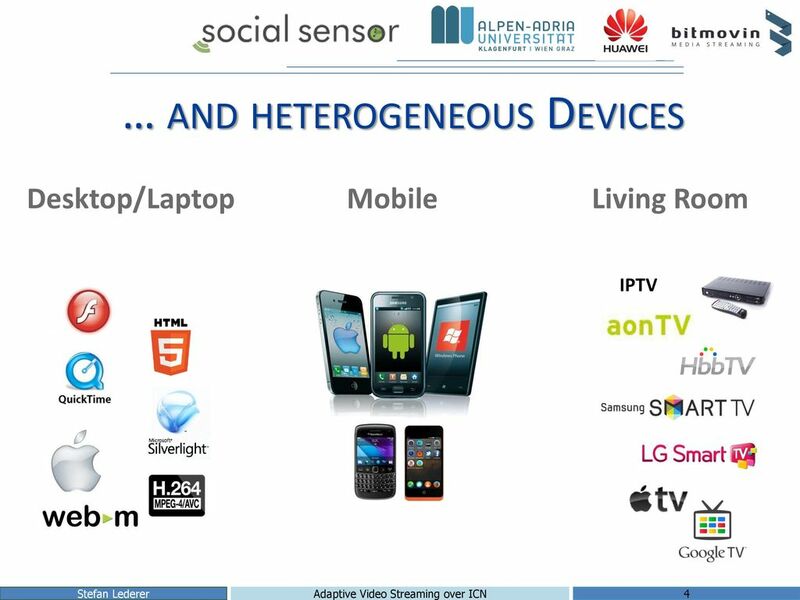 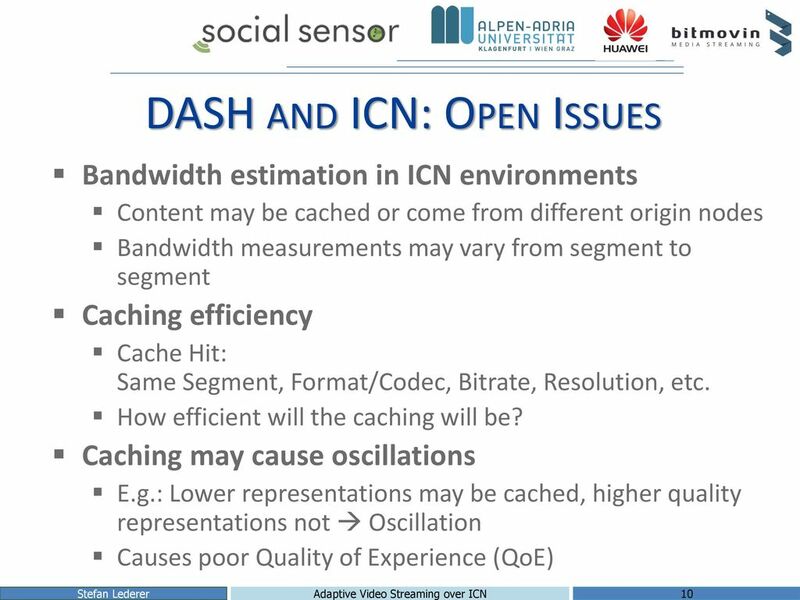 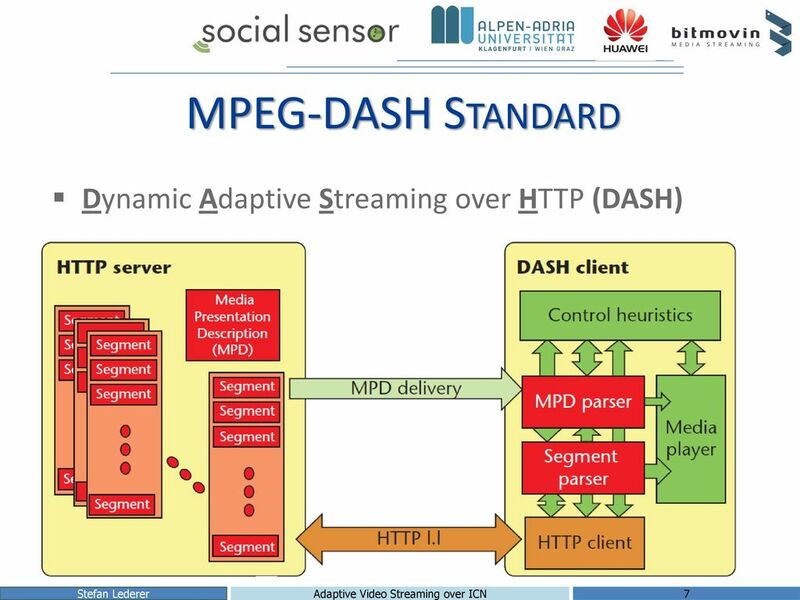 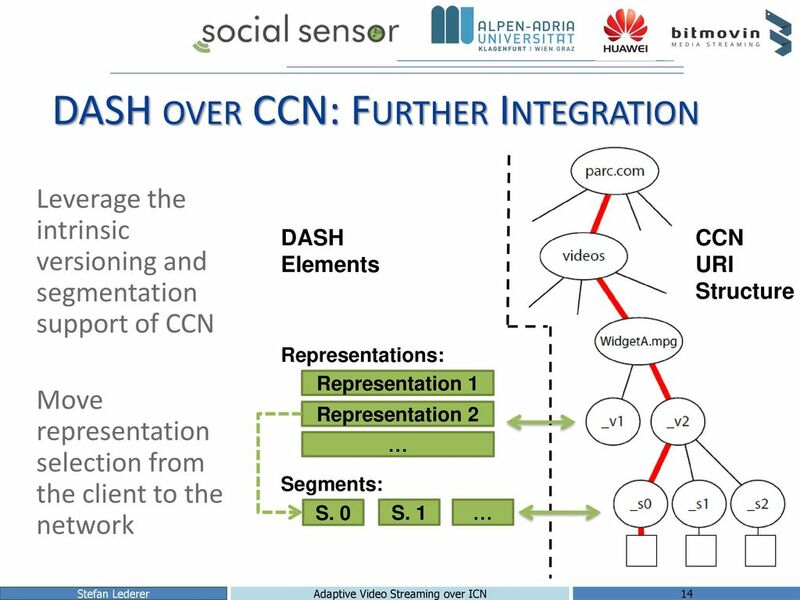 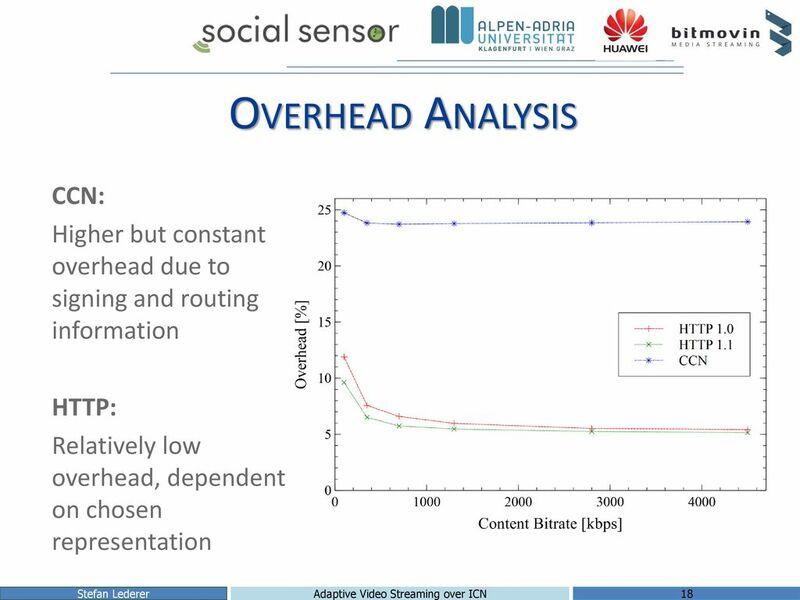 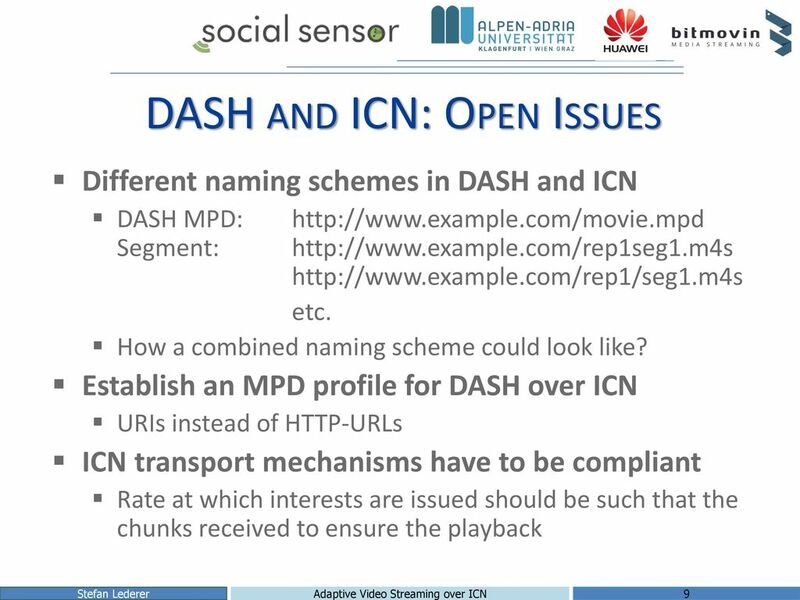 NUS.SOC.CS Roger Zimmermann Project Create a DASH-compliant (Dynamic Adaptive Streaming over HTTP) streaming system. 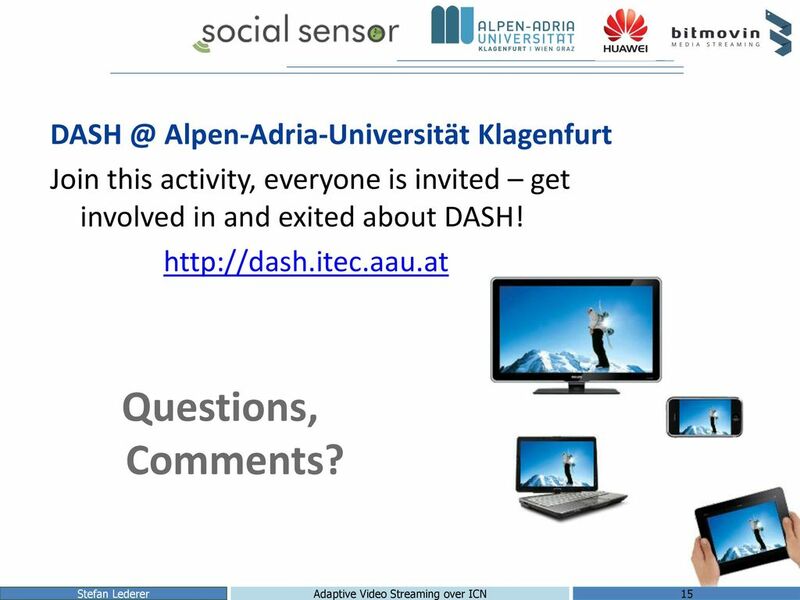 CS Spring 2012 CS 414 – Multimedia Systems Design Lecture 27 – DASH (Dynamic Adaptive Streaming over HTTP) Klara Nahrstedt Spring 2012. 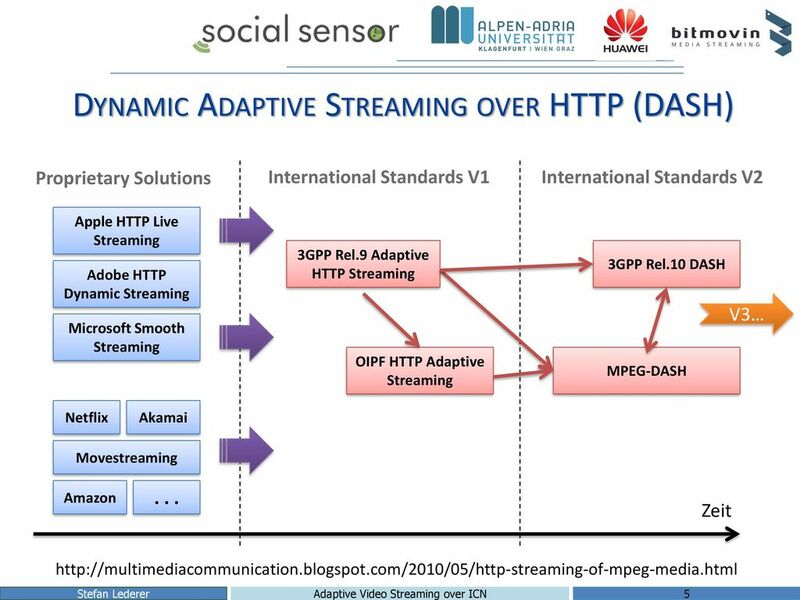 DASH: Dynamic, Adaptive Streaming over HTTP  References:  “An Experimental Evaluation of Rate-Adaptation Algorithms in Adaptive Streaming over HTTP”,Saamer. 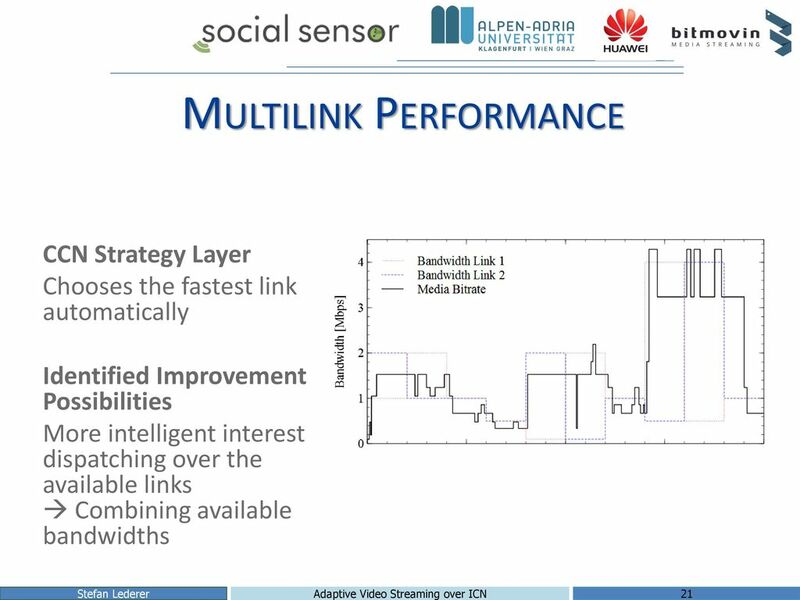 TELECOM ITALIA GROUP Ongoing Activities Report BT London, Feb 15, 2011. 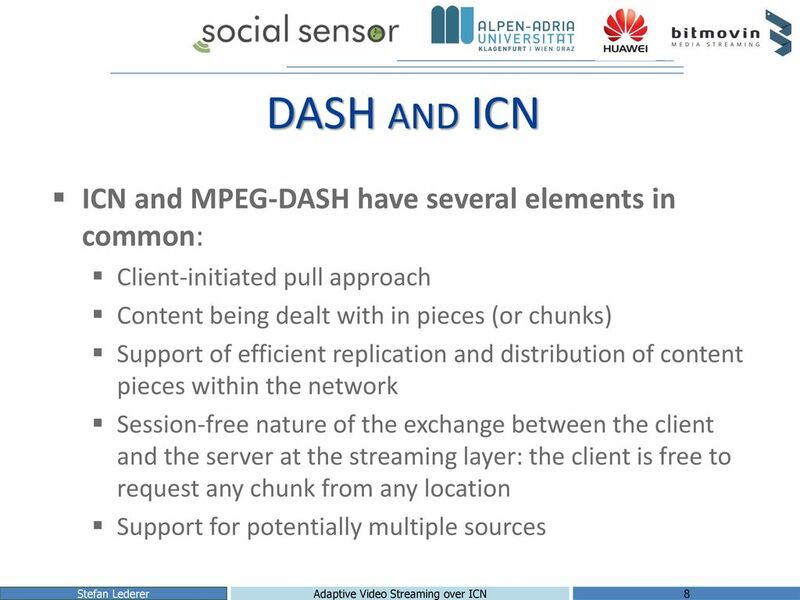 Video over ICN IRTF Interim Meeting Boston, MA Cedric Westphal. 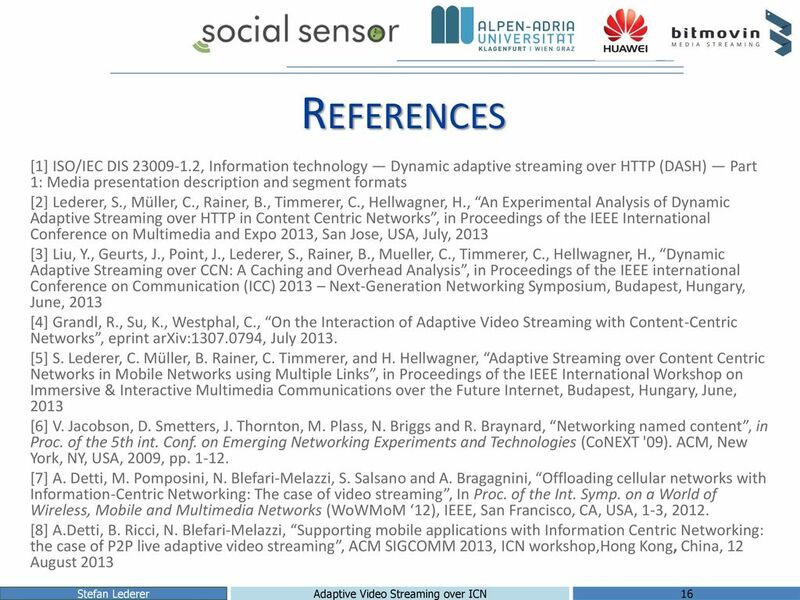 12/10/2006ConfidentialSlide 1 Video Streaming over UMTS: practical issues Stefan Rugel, Klaus Schäfer February 2008. 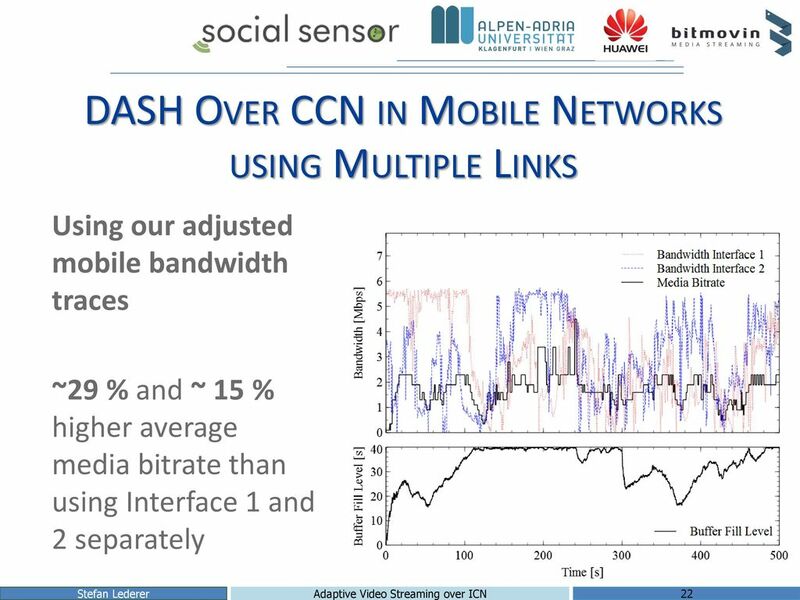 “Scalable and Topologically-aware Application-layer Multicast” Yusung Kim Korea Advanced Institute of Science and Technology. 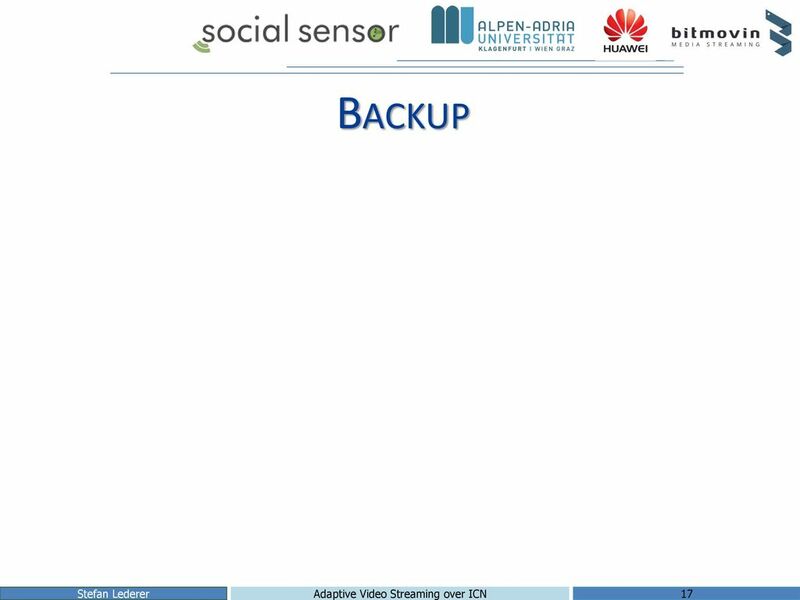 Mohamed Hefeeda 1 School of Computing Science Simon Fraser University, Canada Multimedia Streaming in Dynamic Peer-to-Peer Systems and Mobile Wireless. 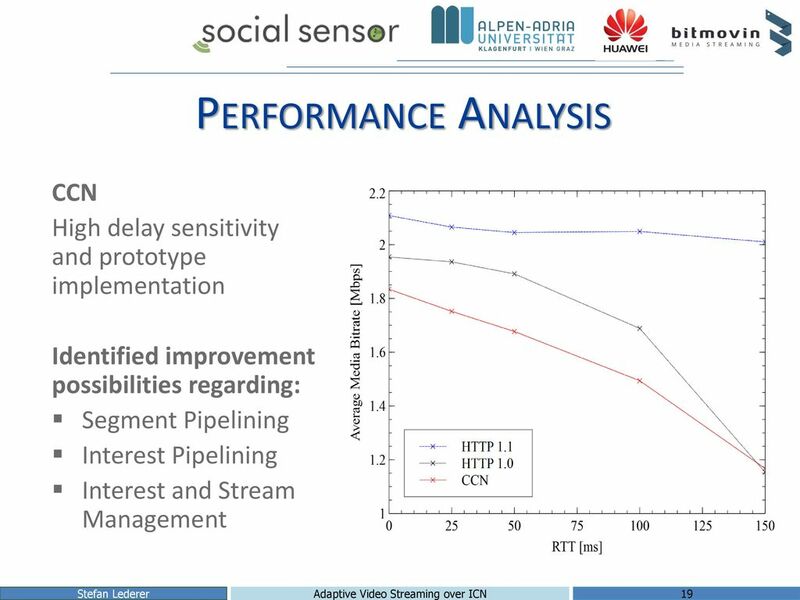 1 Internet Protocols and Network Performance Issues Carey Williamson iCORE Professor Department of Computer Science University of Calgary.